A lot of situations that you encounter on the road are pretty self-explanatory and easy enough to figure out and work your way through with little hassle. Then there's 4-way intersections. You'd be hard pressed to find a more frustrating exchange of behind-the-wheel hand gestures than when you're facing three other drivers who all think they got to their stop sign first. There's four different kinds of people you'll meet here. The polite "you go ahead - no really, go ahead. Please go ahead" driver, who will let anyone and everyone go before them. Then there's the confused driver, who has no idea what to do in this situation and makes hand motions only discernible to themselves as they try to figure out how to handle this near-apocalyptic situation. There's the "false-starter" who you think is letting you go, but then lurches their car forward and slams on the brakes as they swear incoherently at you for not reading their mind. And finally, there's the "charging bull" driver who barges through the intersection after mildly tapping their brakes at the stop sign, and cuts off everyone regardless of how long they've been waiting. As it turns out, there are actually some rules you should follow here. The thing is, most people don't know them or have long forgotten what they were. 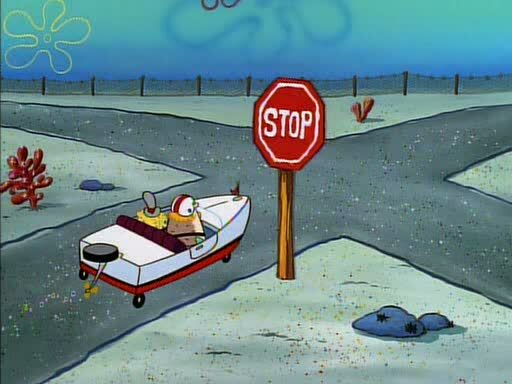 These stop sign controlled intersections can be difficult for new drivers to deal with and there are two simple right of way rules to apply that make it really easy. If another driver gets there first, let them go first. If you arrive at about the same time, the driver on the right has the right of way. The real difficulty at 4-way stops comes at rush hour when there are lines of vehicles backed up in all directions. In this situation do not simply observe the vehicle in front of you because you will miss out on the traffic pattern at the intersection. Pay attention to which direction your side of the intersection seems to be going after. The first vehicle to stop at the beginning of the rush could have been from your left and if you don’t realize that the pattern has them stopping before you, you might end up cutting that driver off by accident. 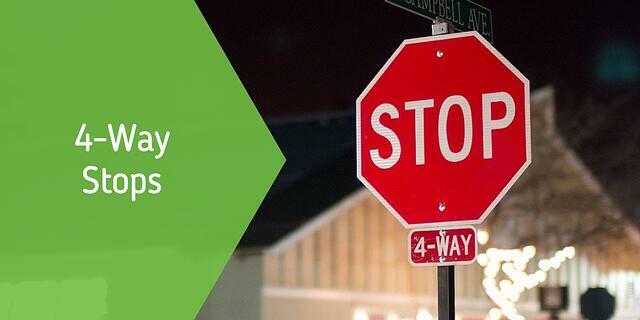 For parents teaching new drivers I would suggest getting out to a busy 4-way stop in your area while you are driving and explain your search pattern to your new driver. Show them how to identify which vehicle they should go after. Then come back on another day with your student driving and have them talk you through the process. Having them talk is a great way to maintain control of the vehicle from the passenger seat without having to get stressed out. If they select the wrong time to go you can calmly make the correction without stressing either of you out. If you are reading this and you are an experienced driver you might notice that I didn’t tell you when you have the right of way in the situation. This may be something new that has been happened in driver training since you were licensed. The way we present right of way to new drivers is designed to create a defensive thought process. If a driver goes through life saying "in this situation I have the right of way," they may go without really checking to see if the other drivers aren’t going. In right of way situations we teach our student when to give or yield the right of way so they will always ask "is the other driver yielding to me?" This will help to reduce the risk and some of the stress for you and your new driver. If you're a new driver, or the parent of a soon-to-be new driver, download our FREE permit prep ebook and make sure to get started on the right path!